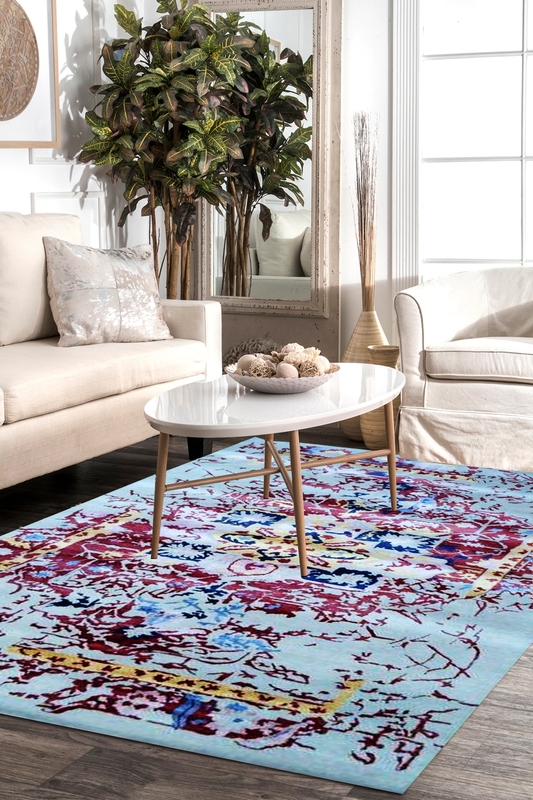 This is a selective rug from Rugs and Beyond. Earth View wool area rug is totally made by hand. This is woven in Pure New Zealand wool, viscose and cotton material. Royal Heriz is the most luxurious carpet which gives a soft and shining touch. This is beautifully handwoven in pure New Zealand wool, Bamboo silk, and Cotton Material. The design of this carpet is a very attractive pattern and you will surely find the compliments regarding this. Beautiful color combination it has. So buy this gorgeous carpet from Rugs and Beyond and enhance the beauty of your interior decor.